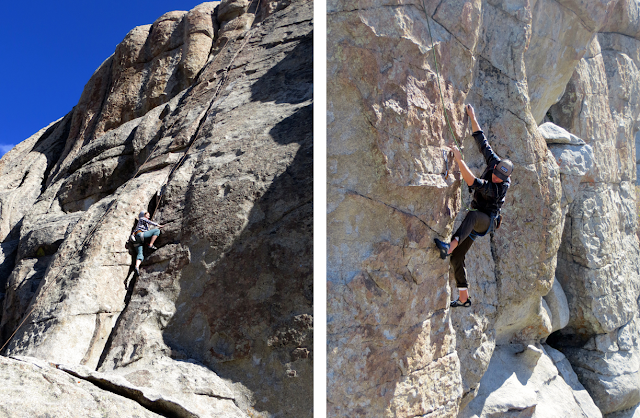 over the weekend we went to city of rocks for the last time before winter really hits. 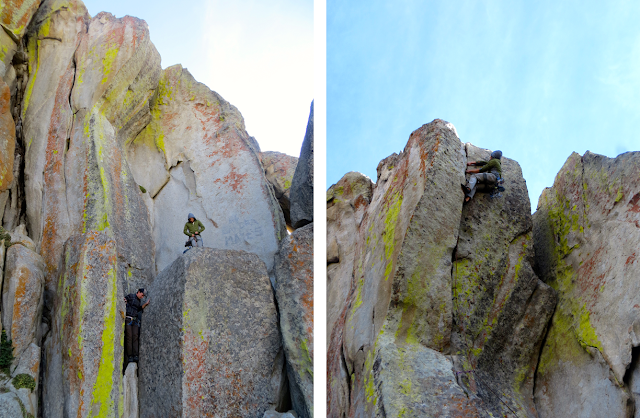 we only stayed one night, but we got a lot of fun climbs in. we headed up with our friends curtis & nicole, & met up with friends of theres that were coming up from logan. it was an awesome group of people & so much fun. we got up there friday afternoon, setup camp & headed off to get a few climbs in before it got too dark or too cold, whichever came first. camping with austin has been a lot of fun. i don't think i've gone camping as much in my life as i have since i've known him & i'm pretty into it. we always have a lot of fun, go somewhere that's awesome & eat like champs. friday night we made basil, pesto, lime penne & it was delicious. we all loved it. & we followed it by a s'more... or 4 if you're me. i love s'mores. we went to sleep by 9, which was awesome & what was even better is none of us woke up till 10! so much sleep! it was great! we woke up & made breakfast burritos with eggs, bell peppers, cheese, tortillas & had hot chocolate or tea to go along (see, we eat wonderfully). we then cleaned up camp & headed off for our last day climbing. i didn't do too many climbs cause i was pretty cold & trying to study for a test, but the one that i did do was a lot of fun. it was basically a crack climb the entire way up. it sounds harder than it is, really. it was such a fun climb. it made me pretty sad that it was the last trip, but happy not to go back to the freezing cold. when you weren't climbing it was unbelievably cold, but it was pretty perfect if you were climbing, so that was nice! after the day of climbing we went & got some local pizza & headed home to sleep it all off. hooorray for another successful trip!